If you’ve got Bermuda grass as your lawn, you’ll know it’s a super tough, resilient type of grass, great for heavily used lawns (pets, kids?) But that resilience comes at a price. Effective lawn care can become an issue without the right mower. 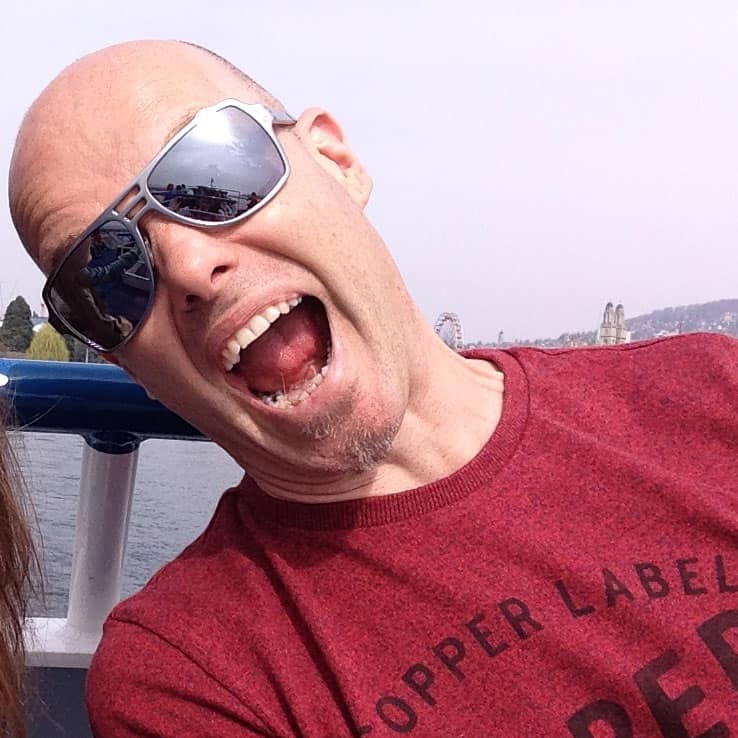 I’m going to discuss some options that are essential when choosing the best lawn mower for Bermuda grass, one that will keep the lawn well kept and tidy, but won’t leave you tearing your hair (and the grass) out when you use it. If you’ve been searching for an answer to this question on the internet, you’ll know by now that there are a ton of people with different answers, expert opinions, or just full of it! Don’t let that distract you. I always like to take a very pragmatic approach to giving opinions. Before we go on though, let’s answer the question first. There is no doubt, from wide reading of gardening forums, review sites, and from lawn care professionals, that a reel lawn mower is definitely the way to go for Bermuda grass. Unfortunately, the preferred model costs A FORTUNE. If you don’t have that sort of money to spend and have less than 1/2 acre of lawn, the Fiskars 18 Inch Staysharp Max Reel Mower is a low-cost alternative to consider. There isn’t always one right answer, and if that appears to be the case, I’ll be very open about it. So, hold tight, let’s investigate some of the options. Before we go on let’s take a quick look at Bermuda grass and its characteristics. Understanding this will help us make a much more informed decision on the type of mower we are going to choose. Bermuda grass is a warm-season perennial that was introduced to the U.S in the 18th century from Africa. 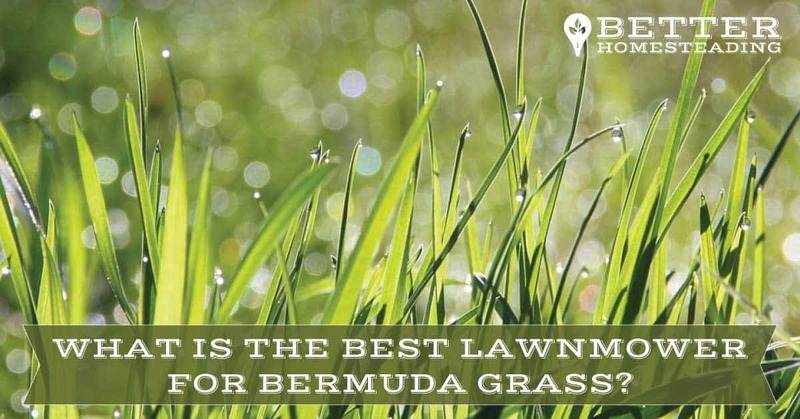 It has an exceptional drought and heat tolerance and the ability to recuperate extremely quickly, not to mention the ability to withstand heavy use, a combination that makes it a popular choice among lawn owners in the U.S. Bermuda grass is a tough and resilient grass whose use is not limited by its climate requirements. Bermuda grass flourishes well in a variety of soils and environmental conditions including sunny and mild climates. Bermuda grass can stay green all through winter, especially in frost-free climates. It is best planted in spring after the frost. This grass requires the right mowing techniques to maintain a beautiful and healthy lawn given the fact that it is a fast-growing grass. Its high growth rate can make it difficult to contain but this helps the grass to sustain heavy use. Bermuda grass is generally a low-to-the-ground, extra tough growing grass that offers the ground a wonderful cover that can withstand extreme levels of pet and foot traffic. This grass requires great care that includes aerating, fertilizer application and mowing. The recommended mowing height varies depending on the Bermuda grass type. The coarse-textured Bermuda grass requires a mowing height of 1.5 to 2.5 inches. The fine-textured Bermuda grass hybrids such as “Tifway 419’ should basically be mowed to a height of 1 to 1.5 inches to the ground. A 1.5-inch cut will leave your lawn looking like it’s ready to host the US Open! Irrespective of the type of mower you choose, you should treat your lawn to its first mow in the early spring, before the grass turns green and starts growing vigorously. Depending on the standard mowing height you use (1.5″ being optimal), set your cut height a half inch lower, jut for this initial mow. The reason for this is to remove dead blades of grass from the lawn. As soon as your Bermuda grass lawn starts to turn green, you can reset your blade height back to normal, and mow as normal. The ideal mow doesn’t remove more than 1/3 of the blade height, so for a 1.5″ cut, you’ll not want to let the grass grow much more than 2.25″ high. No need to measure it, but during the growing season, you’ll need to mow fairly often. Frequent lawn mowing does a great job of ensuring a nice dense lawn. Avoid cutting when the grass is wet or during very dry times when it is under stress. This is the best way to kill your lawn, or at least impact its health and vigor. Keep cutting until the grass stops actively growing in the fall (autumn). Lawn mowers come in two basic types: reel mowers and rotary mowers. Reel mowers, on the other hand, have a bed-knife and a reel that pinches and cuts grass blades in a scissor type action. They spin vertically and perpendicular to the ground. Mower blades should be kept sharp to avoid damaging the grass during cutting as damaged grass blades tend to become discolored due to lack of nutrients. Both reel and rotary mowers are available in riding and walk-behind models. Their motors can also be found as electric-powered or gas-powered machines. Power reel mowers cut your grass short and clean making your lawn look like a golf course. It is recommended that for mowing Bermuda grass, your reel mower should have no less than seven blades. A power reel mower should be used for lawns that take more than 30 minutes to mow. 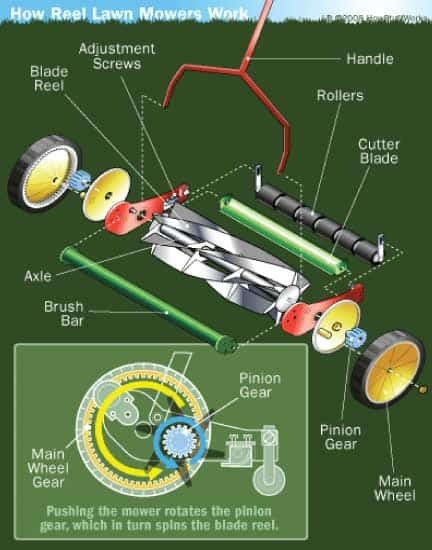 The downside of powered reel mowers is that they require professional sharpening besides being more expensive to buy and maintain compared to power rotary mowers. Living in the UK, I picked up an excellent Bosch manual reel mower, which isn’t available in the USA. I’ve really researched some of the best push reel mowers and have come to the conclusion that the Fiskars 18 inch reel mower is probably the best of the best. Rotary mower blades rotate fast with a machete-type grass cutting action around an axis. These mowers spin horizontally and parallel to the ground. For lawn owners who do not mind their grass being a little longer, probably a walk-behind type rotary mower is just what you need. The rotary mower can do a good job at a fair price. 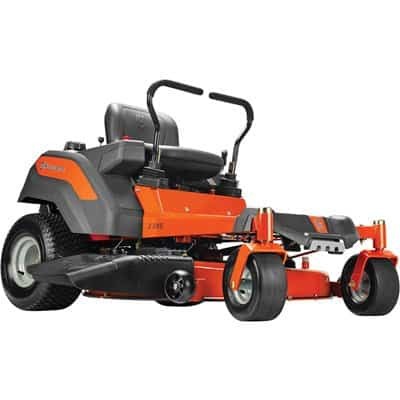 Models like this Honda HRX 21-inch mower on Amazon are considered to be a reasonable alternative to the reel mower. 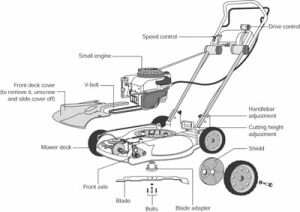 It is important to check the specifications of your mower to ensure that the blades can be adjusted accordingly. Importantly, but often overlooked is blade sharpness. With a tough grass like Bermuda, blunt blades are going to be a blight on your life, and the look of your lawn. For a reel mower, picking up some sharpening paste and applying it to the blades every month over the cutting season will keep them sharp and honed. No need to take to your reel mower with an angle grinder! Rotary mower blades can be kept sharp with a grinder, and/or a specialist sharpening stone or file. They are prone to becoming bent as they bit debris on the lawn, worth keeping a close eye on. The traditional and zero-turn riding mowers can simplify large Bermuda grass lawn mowing jobs especially on your body or when you are on tight time schedules and the mowing has to be done. A major disadvantage of riding mowers is that they lead to soil compaction that causes several problems such as thinning of your Bermuda grass. At a push, and for a medium sized garden, the Husqvarna YTA 18542 18,5 HP Tractor Mower is a good machine at a reasonable price. Soil compaction is accelerated by riding mowers hence its recommended that you care and aerate your grass lawn at least once or twice every year to avoid stressing your lawn although due to the tough nature of Bermuda grass, lawns mowed with these machines may still look fine. Rotary mowers have one blade that rotates at supersonic speed sucking and tearing grass blades. The rotary mower has a simple design that works well with small engines and is also good on a wide variety of Bermuda grass conditions. The initial mowing should be done before the grass turns green during spring. Your mower blade should be set at 1/2 inch lower than the required height depending on the type of your Bermuda grass. The first mowing ensures that all dead grass blades are completely removed but as soon as the grass turns green again, reset your mower blades back to the normal recommended mowing height and mow again. During mowing ensure that you do not remove more than 1 1/3 of the leaf blades height. To promote a thick grass turf, your Bermuda grass should be mowed frequently at least twice a week during peak growth but avoid mowing your grass when its drought-stressed or wet. Mowing should be a continuous process until fall when the grass stops growing. Reel mower clippings left on the lawn during the cutting action of the mower adds organic matter over your lawn which helps in moisture retention. The fine spray of clippings created by the reel mower acts as a mulch. The mowed grass clippings contain essential plant nutrients and minerals that keep your Bermuda grass lawn healthy. The clippings should be left to decompose on the lawn thereby returning beneficial nutrients such as nitrogen to the soil. A major advantage of grass clippings is that you will not have to add fertilizer as these clippings cut the fertilizer requirement by 30% according to experts. In fact, clippings supply at least 1 pound/1000 square feet of nitrogen among other plant nutrients to the grass. Fertilizer should only be used when fall over-seeding occurs. During this period, application of 1/2 pound/1000 square feet of nitrogen will be beneficial to the grass. Most states have banned disposal of yard waste such as grass clippings and yard trimmings hence there are several associations promoting “Grass-cycling”. This means mulching or composting the clippings. Although this article promised to consider the best mower for a Bermuda grass lawn, the jury is out. Everyone has their own preference. Some lawn care experts swear by a reel mower, others prefer rotary. The cutting process and sharpness of blades are a much more decisive factor in how to effectively mow a Bermuda lawn. Price is important too. Powered reel cylinder mowers are not cheap compared to a rotary mower, which has pretty much take over the market in recent years. For a small lawn, a manual push reel mower can be used to good effect, they are actually very lightweight and easy to use, providing you mow regularly. For more information on mowing a lawn with a self-propelled reel mower, check out this article. So, the ‘type’ of mower is not a major consideration in reality, but maintaining it IS. The most important considerations in my view are that you get a mower that has a good track record for reliability and build quality, but make sure it has the blade height adjustments that you need. If it can’t cut down to an inch, then it’s probably best dismissed. Hopefully, these considerations will help you in your decision. It’s not a hard one, consider the requirements listed above and you should be able to get a great mower for mowing your Bermuda lawn. I have Bermuda grass and it is a pain. Sure, it looks good but it’s as tough as hell and I can attest to the fact that a reel mower does do a better job than a rotary. I used to mow lawns for a living, in fact, we had a mower like that super expensive one you mentioned at the start of this article. It was freaking amazing to be honest, but well out of my price range. I agree that if one gets a manual reel mower and just mows regularly, it’s pretty easy to have an awesome looking lawn. Yeah, that mower is the business! With a price tag to match. But you are quite right, the way a reel mower cuts (like a sharp pair of scissors) is really beneficial to the health and look of the grass. I use my manual one exclusively these days.